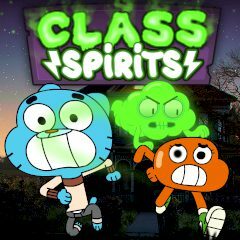 In this free flash arcade game our task is to help a little kitten to defeat all evil ghosts and spirits who are living in the classroom. Lead the kitty through the playing field and paint over as much space as possible. Are you ready to overcome all your fears in this online game developed by Cartoon Network – probably the best cartoon and game developer in the world!